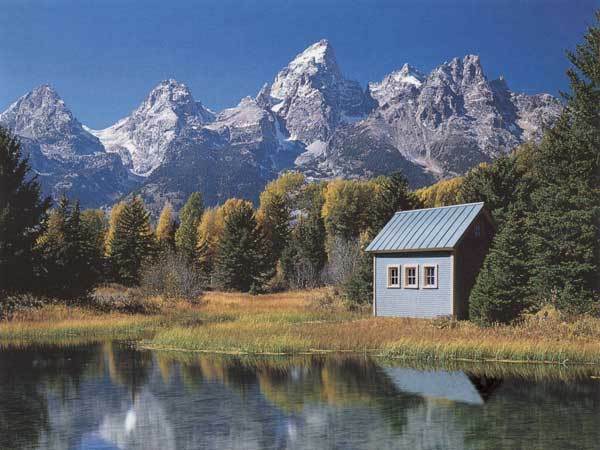 Raise your hand if you find tiny houses to be totally fascinating… We sure do! Perhaps it’s the idea that you could whittle down your possessions to the bare minimum, then live simply yet stylishly without a care in the world. 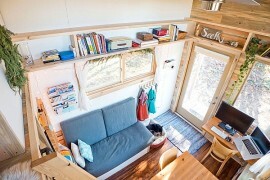 Or maybe it’s the fun of seeing a design that accommodates a person’s daily needs with shockingly little space. If you’re a fan, you won’t want to miss this post! 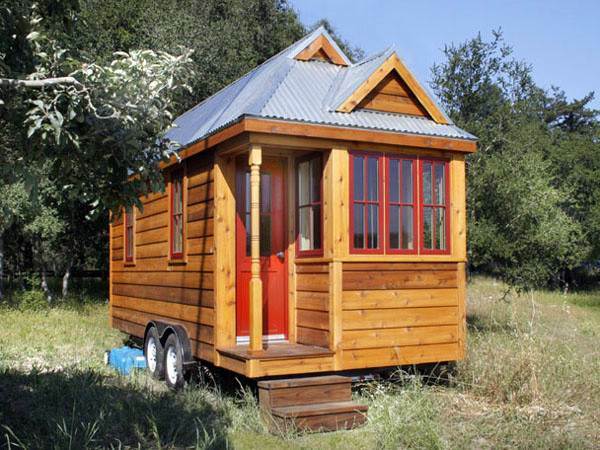 Today we explore the wonder of the Tumbleweed Tiny House Company. 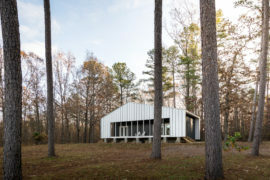 From their Houses to Go (houses on wheels) to their Cottages, Tumbleweed knows good design. In this post, we focus on the company’s portable structures, which can be located wherever you can park a travel trailer. 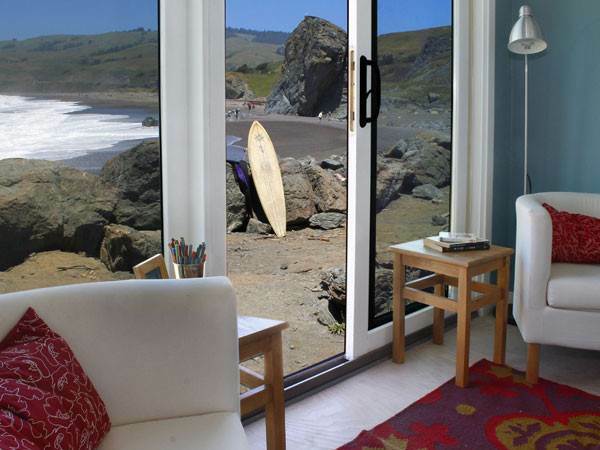 Looking for a way to enjoy the comforts of home while being footloose and fancy free? This post is for you! 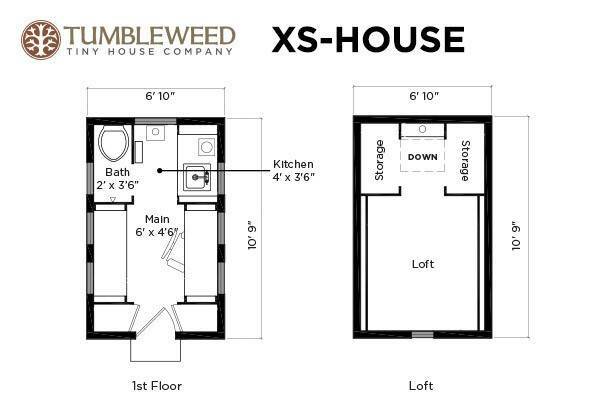 Another fun fact: Tumbleweed Houses to Go range in size from 50-130 square feet! 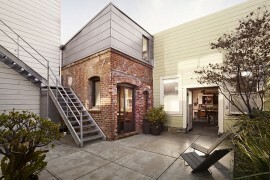 How’s that for compact living?! We begin with the wonder of XS-House. 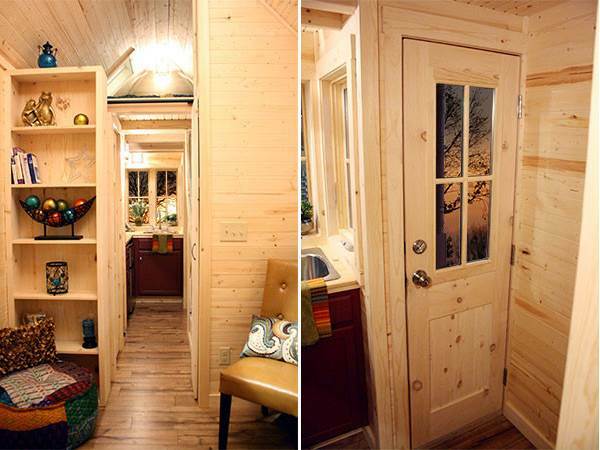 At 73 square feet, this tiny home sleeps two. And it sure looks great against the backdrop of a gorgeous, scenic location. It’s light and easy to tow, so it can travel with you wherever you want to go! You can view the floor plan below. The home has a living area/office/dining space (also known as the Main Room), a kitchen, a bathroom, and a loft for sleeping. There’s even storage! An amazing video tour of this home can be found here (scroll down to the middle of the page). 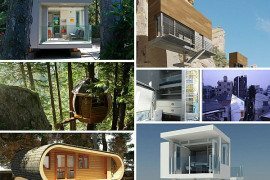 We couldn’t write a tiny house post without exploring the modern design possibilities…. 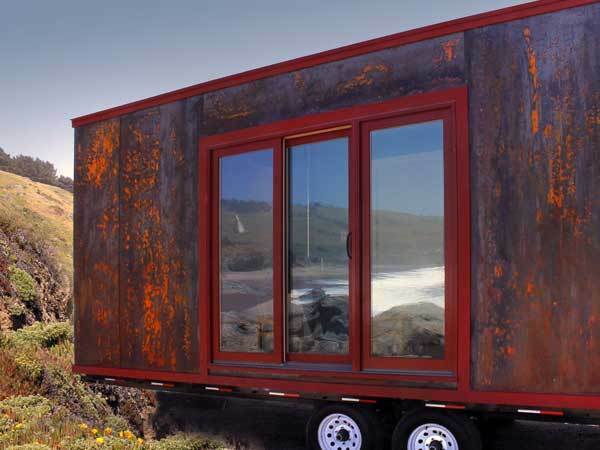 So we now shine the spotlight on The Popomo, which wows with its hot rolled corrosion-resistant steel siding. 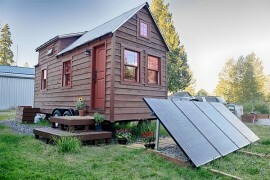 Not only is The Popomo Tumbleweed’s easiest house to build, it doesn’t even require a special permit to tow! 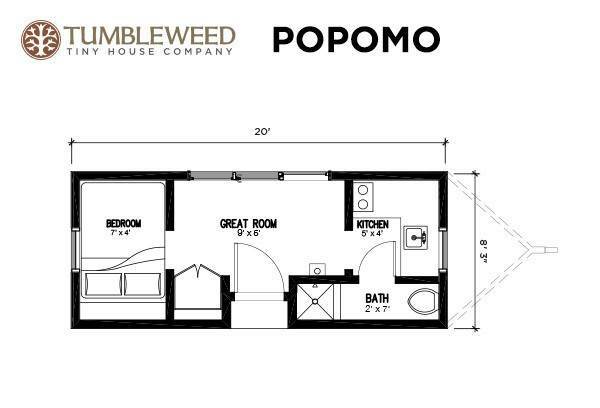 The Popomo is 172 square feet, and you can view the floor plan below. 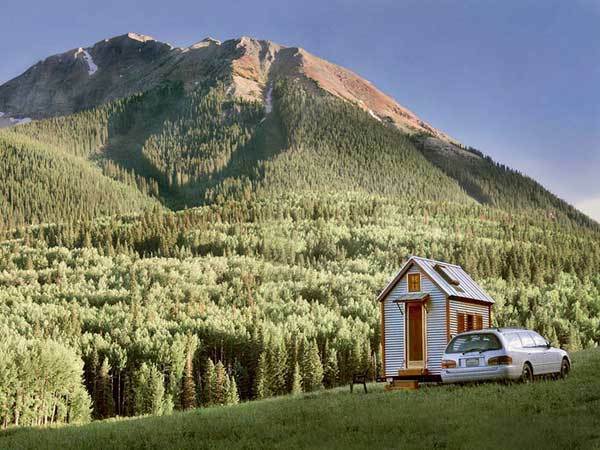 There’s a Great Room with a three-panel sliding back door that provides a wonderful view, especially if you park this tiny home in a grand spot. Also included is a kitchen, bedroom and bathroom. A video tour of the home can be found here (scroll down to the middle of the page). 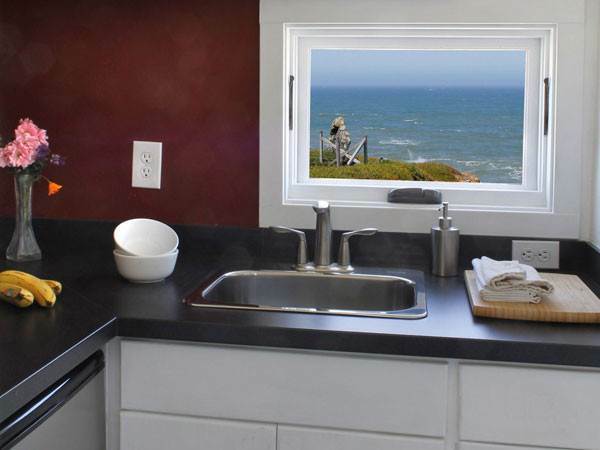 The kitchen is equally welcoming, especially since a window with a view adds an expansive feel to this tiny space. 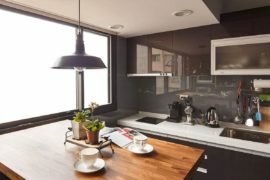 Charcoal black countertops are striking against white cabinetry and trim. 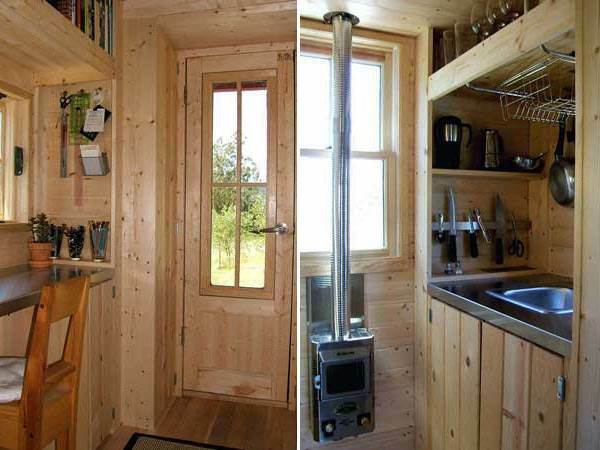 A small refrigerator, built-in stove top and sink make this room as functional as it is stylish. 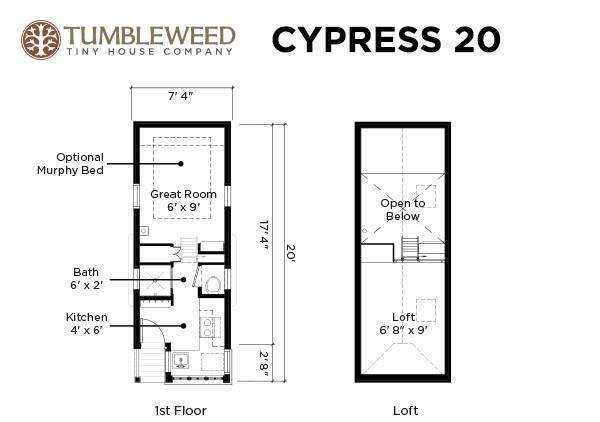 We end by showcasing Tumbleweed’s newest model: Cypress 20. This home has a total square footage of 144, as well as a stainless steel fireplace that keeps the place warm in the coldest of weather (up to -35 degrees)! Need more warmth? Install a larger heater or a second heater. 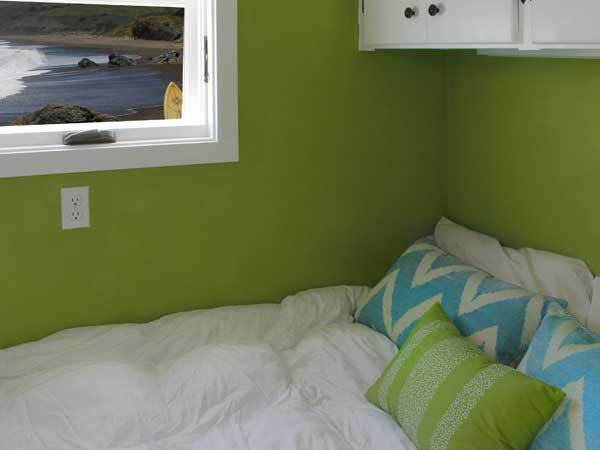 And of course, you can add a small ceiling air conditioning unit to keep things cool. The floor plan below reveals the option of adding a Murphy bed to give the Great Room a sleeping option. 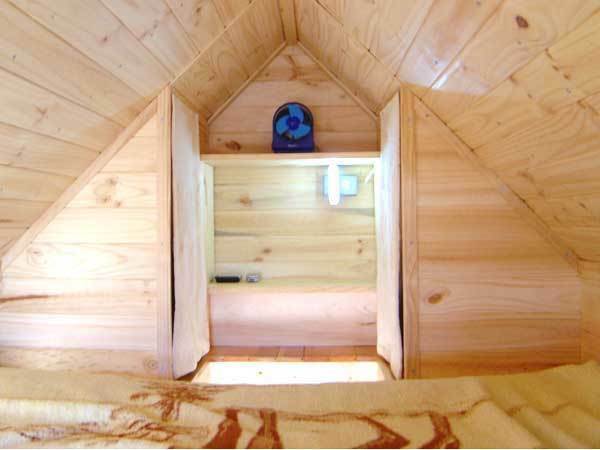 A loft provides even more sleeping space. A kitchen adds convenience, as does a bath with both a toilet and a separate shower. 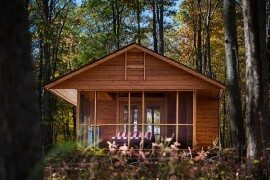 This home sells for $60,000, or you can build it yourself for $25,000. In the next image, we see side-by-side shots of living room shelving and the home’s entry. 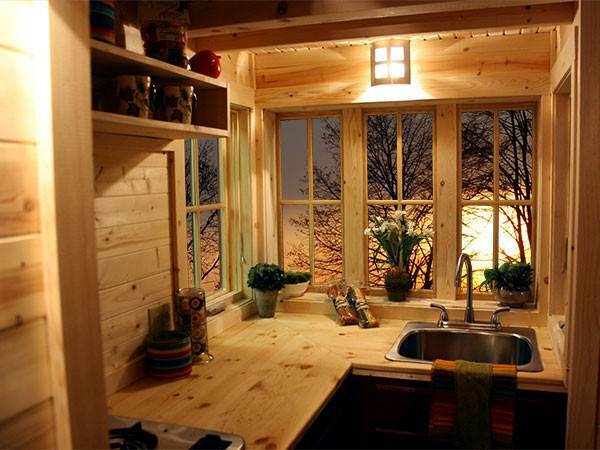 Note that the kitchen is located at the front of this tiny house, and it is surrounded by five windows that welcome the light. 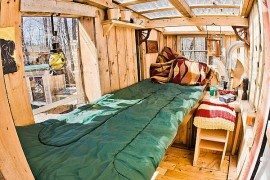 Wooden planks give the space a cabin-like feel.